High Quality, 14K Two-Tone Gold Roman Design Wedding Band Ring. Brushed center design, with high-polised edge and rope borders. Available for both men and women, purchased individually or as a set. Also available in reversed colors or all white gold, all yellow gold, 18K, or Platinum (by request). 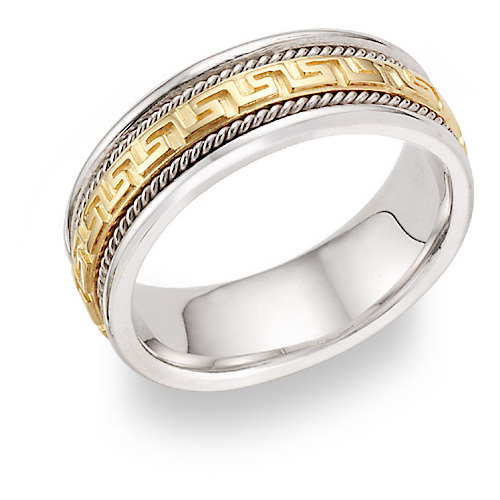 We guarantee our Greek Key Wedding Band, 14K Two-Tone Gold to be high quality, authentic jewelry, as described above.